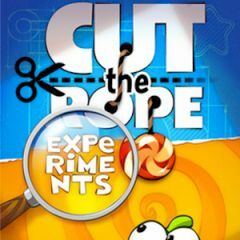 Every new Cut the Rope game introduces new features and make the game more challenging. This one is full of experiments, so a player must think better during each level. Move candy, use bubbles and tools, cut ropes and collect three stars as you used before. Do everything possible to get maximum points and only them drop the candy.